Cummins' colorful history includes building race cars for several trips to the Indy 500. Cummins has turned 100 years old, and that’s significant in an era when business longevity going back as far as 1999 is often applauded. Quite apart from being even older than me, it’s a pretty interesting company. And always has been, it seems. 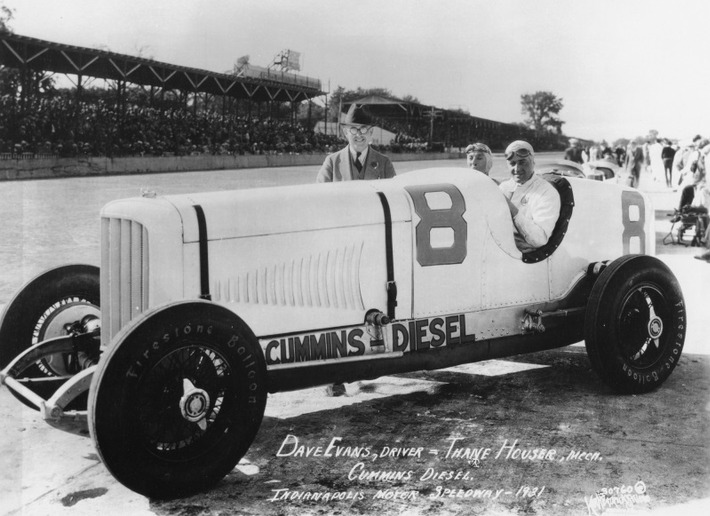 Its colorful history includes building race cars for several trips to the Indy 500, the first in 1931 with diesel power’s debut at the legendary event. It finished 13th out of 33 cars. In 1952 the Cummins #28 car achieved a 139-mph track record and took the pole with the first turbocharged diesel engine to run the 500. Sadly the 430-hp racer was forced to retire at the 100-mile mark while running with the leaders. The exact cause became the subject of race lore, but I believe the culprit was a broken oil line. Such exploits were probably not on the minds of Clessie Cummins and his financial backer and business partner William G. Irwin when the company was founded in Columbus, Indiana. That was February 1919, and it employed just four people. Then it grew. And grew. The employee count is now more than 58,000 men and women working across the globe. Clessie and William built Cummins around the diesel inspiration of Germany’s Rudolf Diesel and a technology that had until then floundered in North America. Little did they know their company would eventually expand to Brazil, China, India, and the United Kingdom, to name just a few locations. 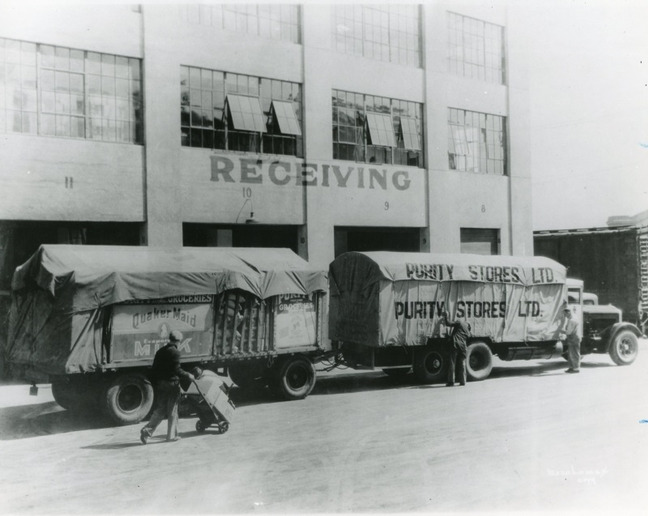 Among Cummins Milestones, in 1932 the engine maker powered the first ever all-diesel commercial highway fleet in the U.S., that being the west coast’s Purity Food Stores. Within a few years, the fleet had more than 300 commercial trucks powered by Cummins diesels. In 1932 the engine maker powered the first ever all-diesel commercial highway fleet in the U.S., that being the west coast’s Purity Food Stores. By 1936 Cummins reached the $1 million mark in sales but didn’t turn its first profit until the following year, 18 years after its founding. It had 51% of the U.S. diesel truck market by 1955. It took quite a while longer, but in 1976 the company first hit a record $1 billion in sales. Twenty-eight years after the company's founding, Cummins’ stock was publicly traded for the first time, and in 1964 the Cummins ticker symbol would appear on the New York Stock Exchange. The company’s international presence grew from its first foray into the larger world in 1959 when it established Motores Cummins Diesel de Brasil. Three years later, in 1962, it created a partnership with Japan’s Komatsu, mostly to power bulldozers. That same year Cummins’ entry into India came by way of a partnership known as Kirloskar-Cummins Ltd. In 1997 the Indiana outfit invested further in the company and became 51% owner, renaming the enterprise as Cummins India Ltd. In 1975, Cummins became one of the first American companies to pursue business in China, and six years later it signed a licence agreement for the NH, K, and KV engines with the China Technical Import Corporation. Cummins’ involvement in the Chinese market has grown by leaps and bounds since then, including joint engine design, development, and manufacturing. Business on the international scene hasn’t always been straightforward. Witness the moment in 1981 when Cummins was offered the chance to build a potentially profitable diesel engine plant in South Africa. To its credit, when the apartheid government said the company would not be allowed to have a racially integrated workforce, Cummins walked away. It was in 2005 when the company’s international sales first eclipsed those in the U.S., a balance that continues to this day, I believe. Back on the engine side, Cummins first started building natural gas engines in 1964, for stationary powerplants and gen-sets, based on the designs of its existing diesels. Many of these engines are still in use today. In 1998, following on from the H-NH-NT-N14 models, Cummins’ new ISX15 engine came onto the heavy-duty truck scene. It’s still there. The Oshkosh HEMITT A3 became the first production-ready diesel-electric hybrid heavy truck in 2005, a 30-ton military vehicle. Its ‘ProPulse’ drive system features a Cummins 9-liter ISL 400-horse engine that runs at constant rpm to run an electrical generator that drives four wheel motors. It has a 65-mph top speed and delivers 200 kilowatts of power for external use. 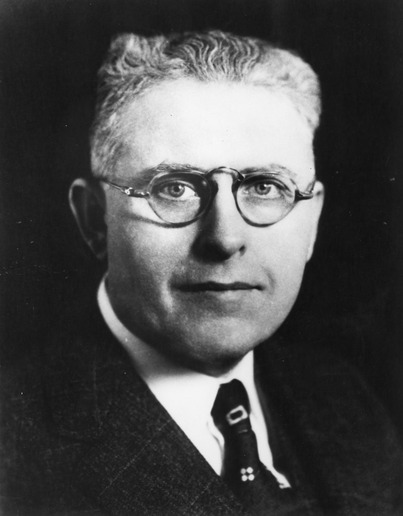 Clessie Cummins (pictured) and his financial backer and business partner William G. Irwin founded Cummins in Columbus, Indiana. With the introduction of more than 1000 diesel-electric hybrid buses in North America, 2006 was a breakthrough year for Cummins. And in 2017 Cummins surprised many observers – and gave notice to Tesla -- with the unveiling of the AEOS, a fully electrified heavy-duty truck. The class 7 demonstration tractor can haul a 22-ton trailer and its electric drivetrain offers a quick recharging time. In February of 2018 Cummins added Electrified Power to its lineup of business segments and thus demonstrated its commitment to electrification and its long-term possibilities. With acquisitions of Brammo, Johnson Matthey Battery Systems, and Efficient Drivetrains, Inc., that continues. Last month, Cummins announced that it has begun delivering eight all-electric vehicles to the United States Postal Service (USPS) for testing in California. The fully electric vans, equipped with Cummins PowerDrive technology, will eliminate vehicle emissions and reduce operating and maintenance costs for the USPS, says Cummins. The vans are made by Motiv Power Systems based on a Ford F650 chassis with a 22,000-lb GVWR rating. The eight vans, which should be in service now, have an all-electric range of up to 85 miles with a full load on urban drive cycles, says Cummins. The vans use the same charging system as passenger electric vehicles (SAE J1772 Level 2) and can reach a full charge in about eight hours.